The Paris Catacombs is one of Paris’ most unforgettable sites. At once haunting and engrossing, they are included in nearly everyone’s ‘Paris must do’ lists. The resting place of over 6 million dead Parisians, the tombs were created in 1786 and have held a storied place in the life of Paris ever since. The Paris Cataphiles: Urban Explorers or Trespassers? Although visits to the Catacombs are supposed to be strictly regulated, there are over 200 miles of tunnels, making the network nearly impossible to effectively police. 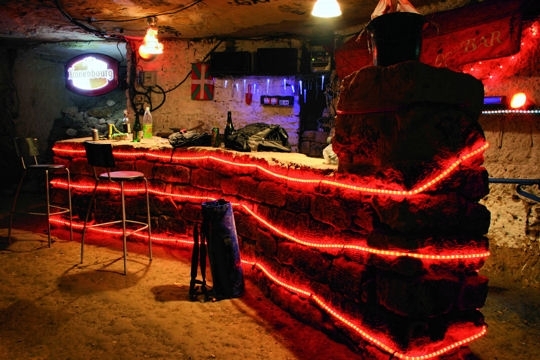 In fact, there is even a group of Catacombs super-fans, called Cataphiles, that consider themselves urban explorers and spend their nights deep underneath Paris’ city streets in the tombs. There have been untimely deaths due to people getting lost in the tombs, or suffering a health crisis too deep underground for emergency personnel to reach in time. Less severe, but equally traumatic, are those unfortunate explorers that become lost in the tombs. While there were as many as 300 entry points in the past, toady there are only a handful of proper entrances and exits, and wandering too far from one of the official entrance points has led to people getting lost. In 2011, 3 French students got lost, and were only found 2 days later after a 30 person police manhunt. But who, exactly, are these Cataphiles, and more importantly, what do they do underneath the city streets of Paris? While a bit secretive, we do have some insider information about the Cataphiles and some fun facts about their lives in Paris. Here are just a few. 1) Of the more than 200 miles of Catacombs tunnels underneath city streets of Paris, only a fraction have ever been mapped. Occasionally, the city of Paris will ask a known cataphile for mapping information as they are frequently the best source of information. 2) There is a plaque in the tombs dedicated to Philibert Aspairt, a Cataphile who supposedly got lost in the underground tunnels in 1793 and died only 10 feet from an exit. 3) To combat unwelcome visitors, the Cataflics was formed. They are a special French police unit dedicated to protecting and preserving the Catacombs, while trying to prevent the bands of Cataphiles from illegally trespassing. 5) Long before the Catacombs became one of Paris’ most famous landmarks, Cataphiles were sneaking underground. In fact, as early as the 1800's the larger underground areas were being used as concert halls. Want to Explore the Paris Catacombs with your own Cataphile? Our Paris Catacombs Tour is one of our most popular tours, with good reason. Few Parisian attractions are as historic, and yet still as current as the Catacombs are. If you’re lucky, you may even get to have one of our team cataphiles as your tour guide.